As I have traveled around the country lecturing about my quest to create a hip hop inspired architecture, I've been asked the same question each time, "Where will this architecture get its start?" My response has always been the same, hip hop has all the venues readily available to give birth to its new art endeavor. From movies to music concerts and music videos, directors are constantly scouting cities, buildings, furniture and other aesthetically pleasing architecture related backdrops to compliment their projects. Often times, those environments dont exist, the music is far more advanced than the architecture, a statement made by LeCorbusier decades ago. Is there a place for architects in hip hop? Can we help create the aesthetically pleasing environments needed to not only support, but advance the artistry? In Kanye West's video "Heartless", directed by Hype Williams, the background is the architectural work of Kanye himself. What West envisioned was a cross between a museum and a Louis Vuitton boutique. The finished product was featured in Interior Design Magazine. 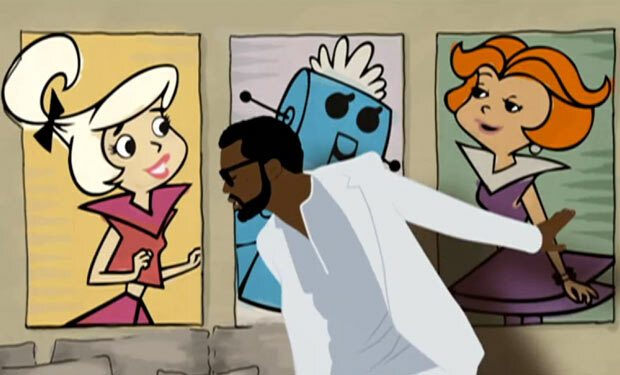 See my original post here, about Kanye's aspirations to be an interior designer.